In our new series, City Living, we spill about Toronto’s latest hot spots, our favourite things to do and see, and great things happening in the city. Finally, we’ve got the sunshine and heat we’ve craved for the past eight months or so. Now that it’s here, avoid complaining about it by keeping cool this summer. We’ll tell you our top ways to beat the heat. Now you have no excuse but to enjoy our brief summer. If you’ve got money and time..
Head up to the lake! There’s nothing quite like an afternoon by the lake, on the dock, cold beer in hand. 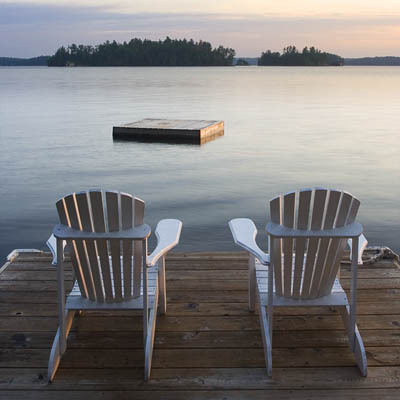 You’ll be hard pressed to find cottage country near Toronto that isn’t uber-expensive, so either cozy up to a friend who has a cottage, or settle for lounging poolside in the city. Lounge at aforementioned city pool! Toronto has a ton of pools for everyone to enjoy, and no, they aren’t filled with pee. They are actually clean and a fun throwback to being a kid, when you’d give anything to dive into the deep end and stay there all day. Best part? They’re free! 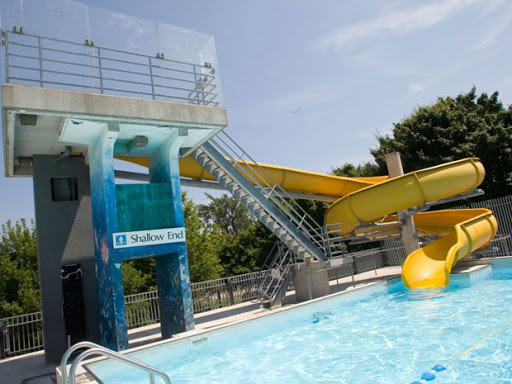 We’re especially partial to the pool at Christie Pits but there are 57 more to choose from in the city. Score. How can you say no to that slide? We’ve already dished about our favourite patios in the city, so this cool down tip is dedicated to the actual drink you’d enjoy on said patio. Nothing beats lemonade on a sunny day, and we especially like the Drake Hotel’s lavender version on the Sky Yard (they have an entire lemonade stand). You may have noticed that rose is making a comeback at the LCBO – this light wine is no longer just for cougars. French versions are dry and refreshing. Also, you can never say no to a fruity, cool sip of sangria. 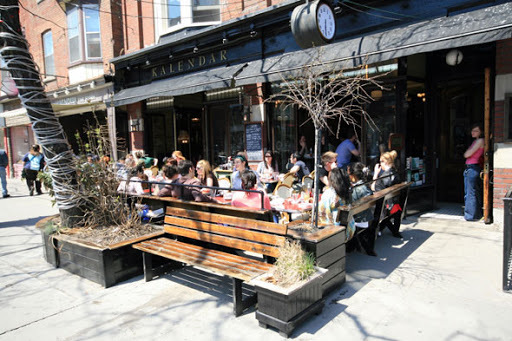 We love the one at Kalendar – especially for the College St. people watching that comes with it. Get there early to snag a prime people-watching seat. 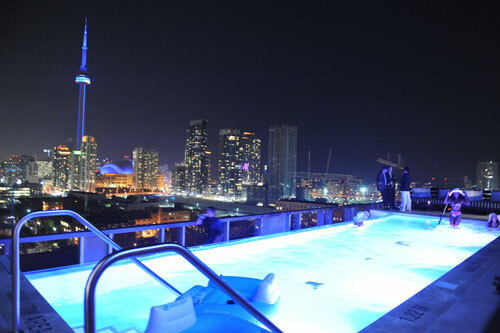 Some of you don’t do public pools, and for you, there’s spots like the Thompson Hotel rooftop. This sleek, shiny infinity pool is gorgeous and only open for those with the rare member’s key or guests of the hotel. Who wouldn’t want the key to this place? 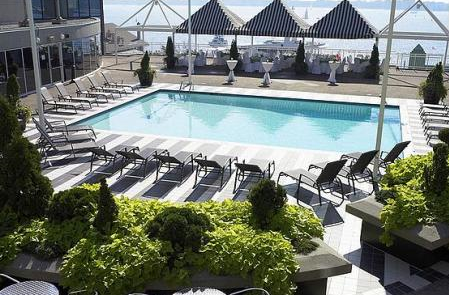 If you aren’t a card carrying member, you can always enjoy the rooftop patio at the downtown Radisson. For a mere $25 (or $35 on the weekend or a holiday), you get a towel and access to this lovely oasis in the city for as long as you like. Hotel pool relief for everyone! Pop a hot pepper or spicy bowl of curry into your mouth. While this seems like the last thing you’d want to do when burning up, the heat in the food causes you to perspire, which will cool your body temperature pretty quickly. 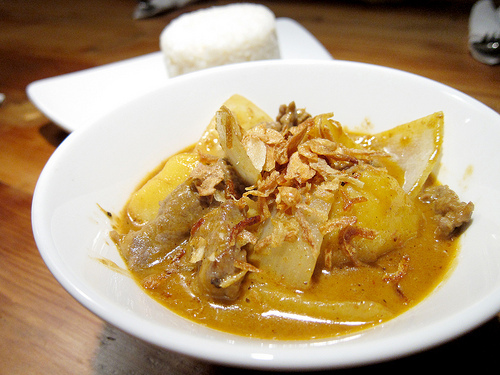 Try a bowl of tasty Massaman curry at Khao San Road and ask for Thai-style spice. You’ll be wiping your brow in no time and will enjoy every minute of it. This little bowl of tastiness is your key to keeping cool. What are you favourite ways to cool down? Tweet us @rockitpromo.